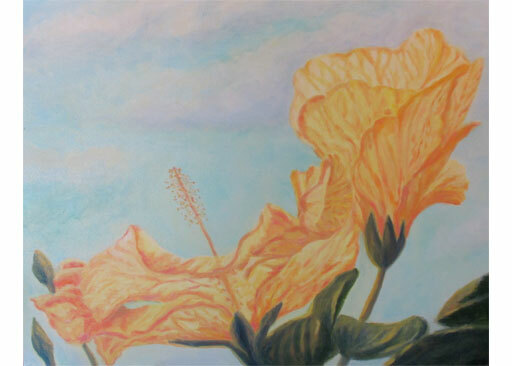 The overwhelming feeling of the hibiscus’ oneness with the sun stirred me to capture the relationship on canvas. The sun seems to envelope the flowers from every direction. Can you see the way the sun’s light penetrates the flowers and is bounced back by the leaves below? This painting needs a home. Proceeds from its sale will go entirely to feed Kauai’s Keiki.